The Hydro-Wiper is an innovative mechanical wiper system designed to keep the windows of optical sensors clean. 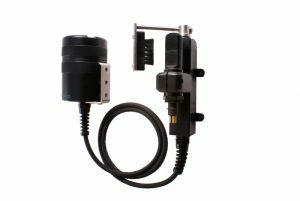 It is designed to fit easily to a wide variety of instruments, and is also used very successfully for underwater cameras. Using a regular gentle brushing action, the Hydro-Wiper keeps the optical window of the instrument clear of bio-fouling and unwanted mud deposits. This reduces the need for expensive site visits to clean the instrument by hand, and helps to maintain data integrity throughout long deployments. Zebra-Tech has created a range of models that are now being used by educational institutions, government agencies and private companies in all parts of the world. We probably have a model for your instrument. If not, we will build you one.